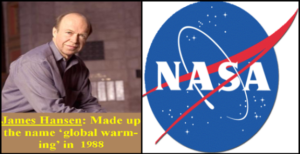 Washington DC: NASA warming scientist James Hansen, one of former Vice President Al Gore’s closest allies in the promotion of man-made global warming fears, is being publicly rebuked by his former supervisor at NASA. Retired senior NASA atmospheric scientist Dr. John S. Theon, the former supervisor of James Hansen, NASA’s vocal man-made global warming fears soothsayer, has now publicly declared himself a skeptic and declared that Hansen “embarrassed NASA” with his alarming climate claims and said Hansen was “was never muzzled.” Theon joins the rapidly growing ranks of international scientists abandoning the promotion of anthropogenic global warming fears. “I appreciate the opportunity to add my name to those who disagree that global warming is man-made,” Theon wrote to the Minority Office at the Environment and Public Works Committee on January 15, 2009. “I was, in effect, Hansen’s supervisor because I had to justify his funding, allocate his resources, and evaluate his results. I did not have the authority to give him his annual performance evaluation,” Theon, the former Chief of the Climate Processes Research Program at NASA Headquarters and former Chief of the Atmospheric Dynamics & Radiation Branch explained. “Hansen was never muzzled even though he violated NASA’s official agency position on climate forecasting (i.e., we did not know enough to forecast climate change or mankind’s effect on it). Hansen thus embarrassed NASA by coming out with his claims of global warming in 1988 in his testimony before Congress,” Theon wrote. NASA scientist James Hansen who runs NASA’s Goddard Institute for Space Studies (GISS) has created worldwide media frenzy with his dire climate warnings, his call for trials against those who dissent against man-made global warming fear, and his claims that he was allegedly muzzled by the Bush administration despite doing 1,400 on-the-job media interviews. Theon declared “climate models are useless.” “My own belief concerning anthropogenic climate change is that the models do not realistically simulate the climate system because there are many very important sub-grid scale processes the models either replicate poorly or completely omit,” Theon explained. “Furthermore, some scientists have manipulated the observed data to justify their model results. In doing so, they neither explain what they have modified in the observations, nor explain how they did it. They have resisted making their work transparent so that it can be replicated independently by other scientists. This is clearly contrary to how science should be done. Thus there is no rational justification for using climate model forecasts to determine public policy,” he added. “As Chief of several of NASA Headquarters’ programs (1982-94), an SES position, I was responsible for all weather and climate research in the entire agency, including the research work by James Hansen, Roy Spencer, Joanne Simpson, and several hundred other scientists at NASA field centers, in academia, and in the private sector who worked on climate research,” Theon wrote of his career. “This required a thorough understanding of the state of the science. I have kept up with climate science since retiring by reading books and journal articles,” Theon added. Theon was elected a fellow of the American Meteorological Society, given the NASA Exceptional Performance Award twice, elected an Associate Fellow of the American Institute for Aeronautics and Astronautics, and awarded the AIAA’s Losey Medal for contributions to airborne remote sensing. He was also awarded the Radio Wave Award by the Minister of Posts and Telecommunications of Japan for contributions to the Tropical Rainfall Measuring Mission — a joint NASA-Japanese Space Agency satellite. Theon has authored or coauthored more than 50 NASA Reports, journal articles, monographs, chapters in books, and edited two books in the scientific literature. Award-winning NASA Astronaut and Physicist Walter Cunningham of NASA’s Apollo 7 also recently chastised Hansen. “Hansen is a political activist who spreads fear even when NASA’s own data contradict him,” Cunningham wrote in an essay in the July/August 2008 issue of Launch Magazine. “NASA should be at the forefront in the collection of scientific evidence and debunking the current hysteria over human-caused, or Anthropogenic Global Warming (AGW). Unfortunately, it is becoming just another agency caught up in the politics of global warming, or worse, politicized science,” Cunningham wrote. Theon joins many current and former NASA scientists in dissenting from man-made climate fears. A small sampling includes: Aerospace engineer and physicist Dr. Michael Griffin, the former top administrator of NASA, Atmospheric Scientist Dr. Joanne Simpson, the first woman in the world to receive a PhD in meteorology and is formerly of NASA, Geophysicist Dr. Phil Chapman, an astronautical engineer and former NASA astronaut, Award-Winning NASA Astronaut/Geologist and Moonwalker Jack Schmitt, Chemist and Nuclear Engineer Robert DeFayette was formerly with NASA’s Plum Brook Reactor, Hungarian Ferenc Miskolczi, an atmospheric physicist with 30 years of experience and a former researcher with NASA’s Ames Research Center, Climatologist Dr. John Christy, Climatologist Dr. Roy W. Spencer, Atmospheric Scientist Ross Hays of NASA’s Columbia Scientific Balloon Facility. Gore faces a much different scientific climate in 2009 than the one he faced in 2006 when his film An Inconvenient Truth was released. According to satellite data, the Earth has cooled since Gore’s film was released, Antarctic sea ice extent has grown to record levels, sea level rise has slowed, ocean temperatures have failed to warm, and more and more scientists have publicly declared their dissent from man-made climate fears as peer-reviewed studies continue to man-made counter warming fears. “Vice President Gore’s and the other promoters of man-made climate fears’ endless claims that the ‘debate is over’ appear to be ignoring scientific reality,” Senator James Inhofe, Ranking Member of the Environment & Public Works Committee. A U.S. Senate Minority Report released in December 2008 details over 650 international scientists who are dissenting from man-made global warming fears promoted by the UN. Many of the scientists profiled are former UN IPCC scientists and former believers in man-made climate change that have reversed their views in recent years. The report continues to grow almost daily. We have just received a request from an Italian scientist, and a Czech scientist to join the 650 dissenting scientists report. A chemist from the U.S. Naval Academy is about to be added, and more Japanese scientists are dissenting. Finally, many more meteorologists will be added and another former UN IPCC scientist is about to be included. These scientists are openly rebelling against the climate orthodoxy promoted by Gore and the UN IPCC. The scientists and peer-reviewed studies countering climate claims are the key reason that the U.S. public has grown ever more skeptical of man-made climate doom predictions. Global warming ranks dead last, 20 out of 20 in new Pew survey. Pew Survey: & Survey finds majority of U.S. Voters – ‘51% – now believe that humans are not the predominant cause of climate change’ – January 20, 2009 – Rasmussen Reports. On a range of issues, 2008 proved to be challenging for the promoters of man-made climate fears. Promoters of anthropogenic warming fears endured the following: Global temperatures failing to warm; Peer-reviewed studies predicting a continued lack of warming; a failed attempt to revive the discredited “Hockey Stick”; inconvenient developments and studies regarding rising CO2; the Spotless Sun; Clouds; Antarctica; the Arctic; Greenland’s ice; Mount Kilimanjaro; Global sea ice; Causes of Hurricanes; Extreme Storms; Extinctions; Floods; Droughts; Ocean Acidification; Polar Bears; Extreme weather deaths; Frogs; lack of atmospheric dust; Malaria; the failure of oceans to warm and rise as predicted. 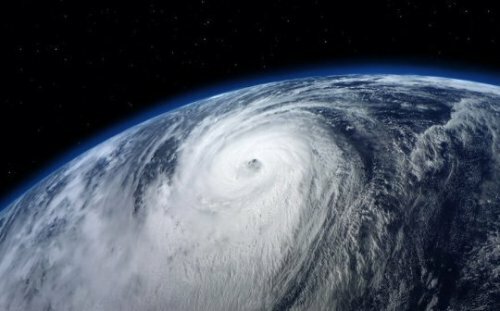 The team studied storm development from the Pliocene era, roughly three million years ago, and chose that time period because it was the last time Earth had as much carbon dioxide as it does now, and the changes in climate from it can play a major role in storm formation and intensity. 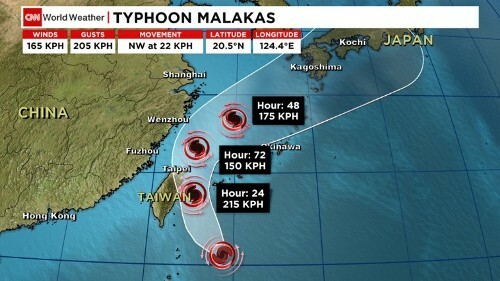 Using computer models and simulations, the team found an increase in the average intensity during the period and the storms most often moved into higher latitudes — to a more northward direction. Low-frequency vibrations of the Ross Ice Shelf are likely causing ripples and undulations in the air above Antarctica, a new study finds. Using mathematical models of the ice shelf, the study’s authors show how vibrations in the ice match those seen in the atmosphere, and are likely causing these mysterious atmospheric waves. Scientists at McMurdo Station detected unusual atmospheric waves with an altitude between 30 to 115 kilometers (20 to 70 miles) above Antarctica in 2011. The waves, which have a long period and take hours to cycle, were observed for several years. Scientists routinely observe atmospheric waves around the world, but the persistence of these waves made them unusual, and scientists didn’t know what was causing them. The new research solves this mystery by connecting the atmospheric waves to vibrations of the Ross Ice Shelf — the largest ice shelf in the world with an area of almost half a million square kilometers (188,000 miles), roughly the size of France. Imperceptible vibrations of the ice shelf, caused by ocean waves and other forces, are transferred and amplified in the atmosphere, according to the new study. If the study’s predictions are correct, scientists could use these atmospheric waves to measure properties of the ice shelf that are normally difficult to track, such as the amount of stress the ice shelf is under from ocean waves. “If atmospheric waves are generated by ice vibrations, by rhythmic vibrations of ice — then that carries a lot of information of the ice shelf itself,” said Oleg Godin, a professor at the Naval Postgraduate School in Monterey, California, and lead author of the new study, published in the Journal of Geophysical Research: Space Physics, a journal of the American Geophysical Union. 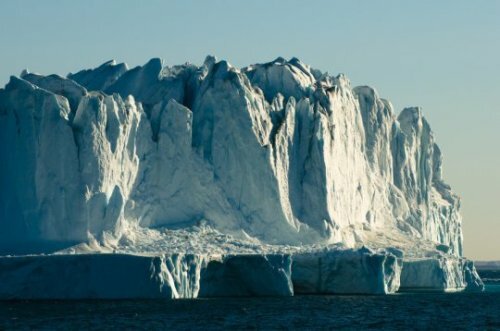 This information could help scientists better understand the status and stability of ice shelves, which are permanently floating sheets of ice connected to landmasses. Scientists closely monitor the size and movement of ice shelves because when they break up, they indirectly contribute to sea level rise through their impact on land ice. In the new study, Godin and his co-author, Nikolay Zabotin, used two theoretical models of the Ross Ice Shelf to show vibrations within the ice could create the atmospheric waves. One model approximates the ice shelf as a smooth rectangular slab of ice, while the other approximates the ice as a layered fluid. The authors incorporated known properties of the ice sheet such as elasticity, density, and thickness into each model to calculate the time it would take vibrations in the ice to complete one cycle. They found both models predict that the ice shelf produces vibrations within a 3- to 10-hour period, which matches the duration of vibrations seen in the atmosphere. These ice shelf vibrations would likely also produce atmospheric waves with a vertical wavelength of 20 to 30 kilometers (12 to 18 miles), another feature of the observed waves. The vibrations are transferred from the ice shelf to the atmosphere through direct contact with the air above the ice shelf, according to the new study. While the vibrations of the ice sheet are small, the atmospheric disturbances they create can be large because of reduced air pressure high in the atmosphere. For example, an ice shelf vibration one centimeter in amplitude pushes on the air directly above it. As the vibration cascades upward, it can grow in amplitude to move air hundreds of meters up and down when the wave reaches the less-dense air high in the atmosphere, Godin said. The size of these atmospheric waves makes them easy to observe with radar and Lidar, a radar-like system using laser light to scan the atmosphere. Godin and Zabotin plan to use an advanced research radar to study the atmospheric waves in more detail to better understand the behavior of the Ross Ice Shelf. “There are suggestions in the literature that accelerated breakup of ice shelves will lead to rise of sea level by several meters by the end of the century,” Godin said. “Anything we can do to quantify what is going on with these large ice shelves is of huge importance. NORFOLK, Va. – Flooding in coastal Virginia and North Carolina blocked roads and forced school closings Wednesday that affected for more than 100,000 students. A stalled weather system and the remnants of Tropical Storm Julia have brought days of rain and localized flooding to the region. The rain is expected to continue into Thursday. National Weather Service Meteorologist Tim Gingrich said anywhere from 5 inches to 12 inches of rain have fallen “and it’s still raining.” He added that the rainfall has broken records for individual dates on Monday and Tuesday. 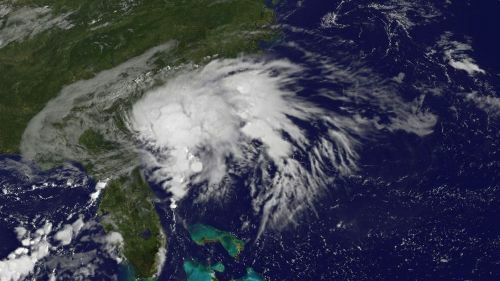 “We still have a flash flood watch for at least Norfolk, Chesapeake and Virginia Beach,” Gingrich added. Gingrich said the worst should be over by Wednesday evening. 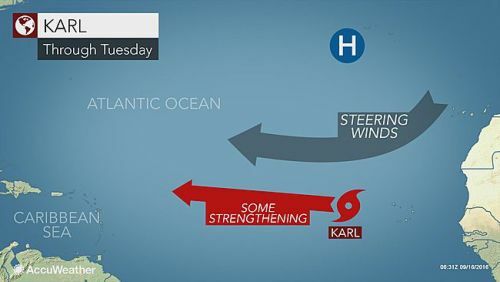 But he said rain will still fall for much of Thursday before Julia’s remnants are expected to drift out to sea by the following day. 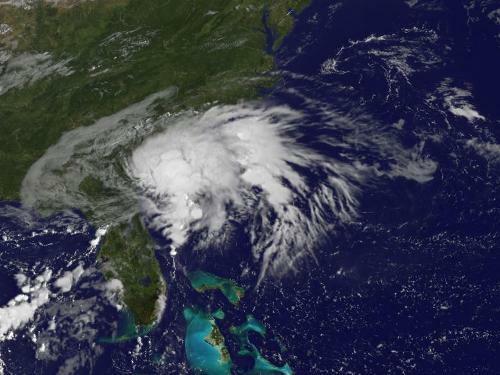 “Right now it’s sitting over a corner of northeast North Carolina and spinning,” he said of the storm. Major school districts in Virginia’s south Hampton Roads region have canceled classes. So have two North Carolina counties, Currituck and Gates. Local media are reporting impassable roadways and highway ramps throughout the region. Officials in Chowan County, North Carolina, reported on a website that at least two roads were washed out along with water lines serving 150 customers. Several others roads are impassable. Between five to 10 inches of rain has fallen there. The county remained under a flood warning until the late afternoon. In Virginia Beach, resident Todd Solomon said he’s never seen rainstorms close schools without a hurricane bearing down. Solomon lives in a flood-prone neighborhood. He said water flooded his backyard up to his house’s foundation but failed to enter the home. He said his neighborhood has fared pretty well, considering.